But when romance gives way to passion, Ichabod and Katrina embark on a secret love affair, sneaking away into the woods after dark to be together – all while praying they do not catch sight of Sleepy Hollow’s legendary Headless Horseman. That is, until All Hallows’s Eve, when Ichabod suddenly disappears, leaving Katrina alone and in a perilous position. 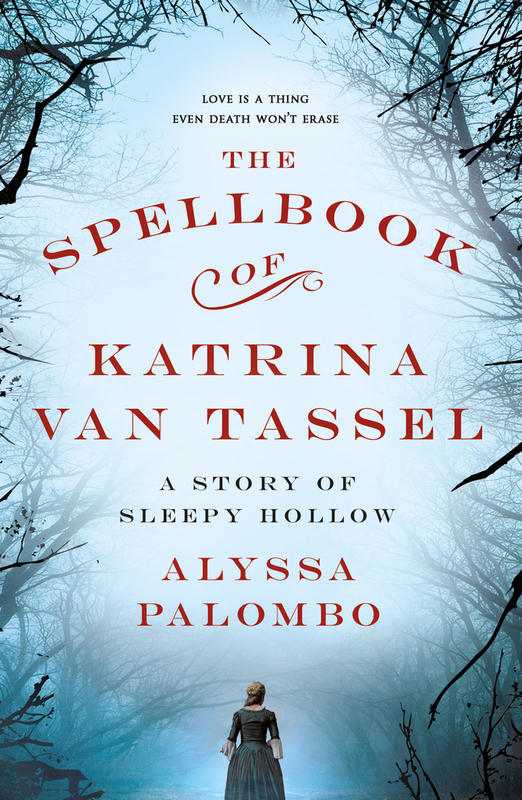 Enlisting the help of her friend – and rumored witch – Charlotte Jansen, Katrina seeks the truth of Ichabod Crane’s disappearance, investigating the forest around Sleepy Hollow using unconventional – often magical – means. What they find forces Katrina to question everything she once knew, and to wonder if the Headless Horseman is perhaps more than just a story after all. In Alyssa Palombo's The Spellbook of Katrina Van Tassel nothing is as it seems, and love is a thing even death won't erase. It was in early summer of my eighteenth year that my destiny arrived, and despite my fancy for premonitions he took me quite by surprise. ALYSSA PALOMBO is the author of The Violinist of Venice and The Most Beautiful Woman in Florence. She is a recent graduate of Canisius College with degrees in English and creative writing, respectively. A passionate music lover, she is a classically trained musician as well as a big fan of heavy metal. When not writing, she can be found reading, hanging out with her friends, traveling, or planning for next Halloween. She lives in Buffalo, New York, where she is always at work on a new novel.